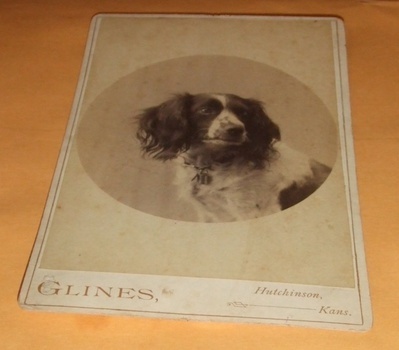 In Photographs > Cabinet Card Photographs > Show & Tell and Animals > Dogs > Show & Tell. Dogs appear with regularity in 19th century photography. The cabinet card shows a large do. I am not sure of the breed-- any input is appreciated. The cabinet card was photographed by Glines of Hutchinson, Kansas and dates from about 1885. Reproduction of this image in any form is not authorized. 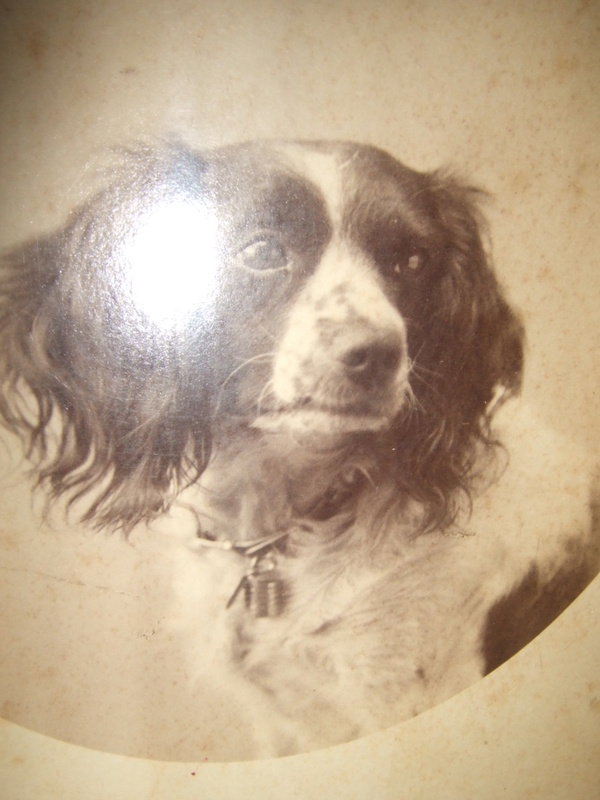 Usually they just managed to find there way into the photo's on there own, this dog must have been special. It is a little unusual to find an animal alone. The typical dog photograph will have some people as well. Thanks for looking walksoftly, and be sure to check out the other animal images I recently posted. Thanks for the love walksoftly. Perhaps this could be a new thing for all of the "doggie" set! My next door neighbour's dog has a psychiatrist and an acupuncturist. I'll suggest this for "Teddie"! You've found some beauties recently scott! Take a look at photo #2 and click on the plus "+" to see more details. If that doesn't work let me know and I'll add another image later. Here is a better pic of the collar-- glad to provide additional images to folks with a genuine interest in the images. No problem-- let me know what you see. I couldn't figure it out either, but to me it looked MOST like a lock as well. Thanks scandinavian-- your dog's personality shows through in your photograph of him! 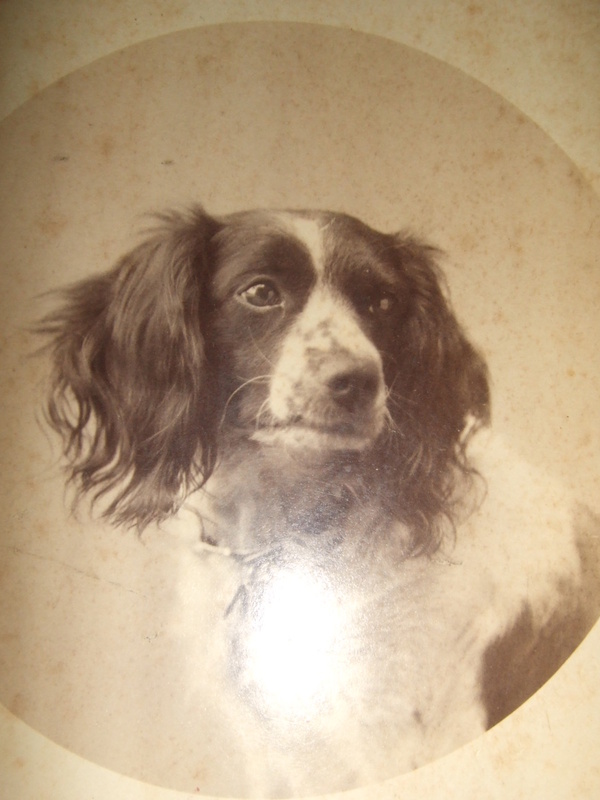 I think that the dog is an English Springer Spaniel. Thanks tony, tubber and cultcha.